At one time CDs dominated, but now it is the MP3 that has the most popularity. This free MP3 player can help you to play all of your new or old MP3 files with the use of this software application. The player has high quality sound for all of your MP3 files and is easy to install and use. Compared with many of the other MP3 playing software programs that have far too many features, this is simple and perfect for those who just want to listen to the sound file and nothing else. Using this music player is as simple as going through the initial installation instructions. Download to your computer and follow the installation instructions until you have gotten the file on your computer. Then you can use the free MP3 player to listen to whatever music you would like with the tutorial at the beginning. This will explain the entire process to you in a simple and fun way. 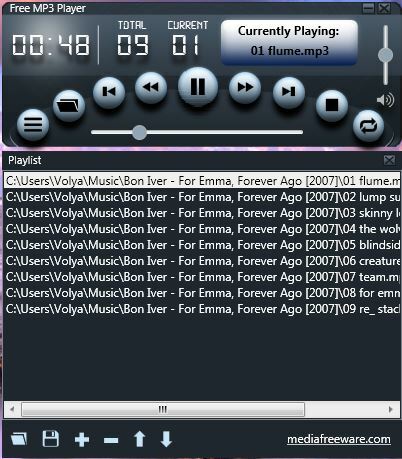 To start the free MP3 player, you can find the right files on your computer and start to play them. Once you start to play the files that are on your computer, you will be able to customize the volume settings and others that are important to make your music listening experience fun. With the free MP3 player, you will also have a high quality sound system that far outpaces many of the other desktop or software applications. Rather than listening to a poor quality music player, this will be crisp and clear. More importantly, the software is completely free for you to download and use so it is worthwhile to give it a try. The MP3 is now one of the most popular types of music and you need a quality player in order to listen.